سروری, مرتضی, دیواندری, مهدی. (1395). اثر دمای پیش‌گرم پوسته جامد و شرایط سرمایش بعد از انجماد در اتصال کامپوزیت دوفلزی منیزیم-آلومینیم تولید شده به‌روش ریخته‌گری گریز از مرکز. علوم و فناوری کامپوزیت, 3(1), 85-92. مرتضی سروری; مهدی دیواندری. "اثر دمای پیش‌گرم پوسته جامد و شرایط سرمایش بعد از انجماد در اتصال کامپوزیت دوفلزی منیزیم-آلومینیم تولید شده به‌روش ریخته‌گری گریز از مرکز". علوم و فناوری کامپوزیت, 3, 1, 1395, 85-92. سروری, مرتضی, دیواندری, مهدی. (1395). 'اثر دمای پیش‌گرم پوسته جامد و شرایط سرمایش بعد از انجماد در اتصال کامپوزیت دوفلزی منیزیم-آلومینیم تولید شده به‌روش ریخته‌گری گریز از مرکز', علوم و فناوری کامپوزیت, 3(1), pp. 85-92. سروری, مرتضی, دیواندری, مهدی. اثر دمای پیش‌گرم پوسته جامد و شرایط سرمایش بعد از انجماد در اتصال کامپوزیت دوفلزی منیزیم-آلومینیم تولید شده به‌روش ریخته‌گری گریز از مرکز. علوم و فناوری کامپوزیت, 1395; 3(1): 85-92. Production of Mg-Al bimetal composite, for weight reduction of industrial components and decrease in fuel consumption, has taken attentions in the transport industry during recent years. In this research Mg melt was poured at 700 Celsius into Al hollow cylinder, with 1.5 melt to solid volume ratio (Vm/Vs), preheated at various temperature including; 320, 400 and 450 Celsius, respectively, while they were rotating at 1600 rpm in a vertical centrifugal casting machine. Effect of the cooling process after pouring, and also contraction behavior of magnesium-aluminum bimetal during solidification, under centrifugal force, was studied. Preheating temperature from 350 to 450 Celsius led to the increasing of reaction layer and phase changes. Study of microstructure using scanning electron microscope (SEM) equipped with x-ray spectroscopy showed Al3Mg2 and Al12Mg17 intermetallic compounds, eutectic structure and Mg solid solution are formed in the interface. Keep the casting in the casting machine, while rotating and cooling to the range of 150 Celsius, prevented creation of contraction cracks and separation of two layers composite alloy. Sachdeva, D. Tiwari, S. Sundarraj, S. and Luo, A., “Microstructure and Corrosion Characterization of Squeeze Cast AM50 Magnesium Alloys,” Metall. Mater. Trans. B, Vol. 41, No. 6, pp. 1375–1383, 2010. Papis, K. J. M. Löffler, J. F. and Uggowitzer, P. J., “Interface Formation Between Liquid and Solid Mg Alloys—An Approach to Continuously Metallurgic Joining of Magnesium Parts,” Mater. Sci. Eng. A, Vol. 527, No. 9, pp. 2274–2279. 2010. Zhang, T. Meng, G. Shao, Y. Cui, Z. and Wang, F., “Corrosion of Hot Extrusion AZ91 Magnesium Alloy. Part II: Effect of Rare Earth Element Neodymium (Nd) on the Corrosion Behavior of Extruded Alloy,” Corros. Sci., Vol. 53, No. 9, pp. 2934–2942. 2011. Papis, K. J. M. Loeffler, J. F. and Uggowitzer, P. J., “Light Metal Compound Casting,” Sci. China Ser. E Technol. Sci., Vol. 52, No. 1, pp. 46–51, 2009. Sato, Y. S. C. Park, S. H. Michiuchi, M. and Kokawa, H.,“Constitutional Liquation During Dissimilar Friction Stir Welding of Al and Mg Alloys,” Scr. Mater., Vol. 50, No. 9, pp. 1233–1236, 2004. Bhamji, I. Preuss, M. Moat, R. J. Threadgill, P. L. and Addison, C., “Linear Friction Welding of Aluminium to Magnesium,” Sci. Technol. Weld. Join., Vol. 17, No. 5, pp. 368–374, 2012. Liu, P. Li, Y. Geng, H. and Wang, J., “Microstructure Characteristics in TIG Welded Joint of Mg/Al Dissimilar Materials,” Mater. Lett., Vol. 61, No. 6, pp. 1288–1291, 2007. Hoeschl, M. Wagener, W. and Wolf, J., “BMW’s Magnesium-Aluminium Composite Crankcase, State-of-the-Art Light Metal Casting and Manufacturing,” No. 724, 2006. Papis, K. J. M. Hallstedt, B. Loffler, J. F. and Uggowitzer, P. J., “Interface Formation in Aluminium–Aluminium Compound Casting,” Acta Mater., Vol. 56, No. 13, pp. 3036–3043, 2008. Emami, S. M. Divandari, M. Arabi, H. and Hajjari, E., “Effect of Melt-to-Solid Insert Volume Ratio on Mg/Al Dissimilar Metals Bonding,” J. Mater. Eng. Perform., Vol. 22, No. 1, pp. 123–130, 2012. Hajjari, E. Divandari, M. Razavi, S. H. Homma, T. and Kamado, S., “Microstructure Characteristics and Mechanical Properties of Al 413/Mg Joint in Compound Casting Process,” Metall. Mater. Trans. A, Vol. 43, No. 12, pp. 4667–4677, 2012. Xu, G. Luo, A. A. Chen, Y. and Sachdev, A. K., “Interfacial Phenomena in Magnesium/Aluminum Bi-metallic Castings,” Mater. Sci. Eng. A, Vol. 595, pp. 154–158, 2014. Sarvari, M. and Divandari, M., “Melt Behavior and Shrinkage Force Effect of Al Melt in Al / Mg Bimetal Cast via Centrifugal Casting,”, In Persian, Modares Mech. Eng., Vol. 15, No. 7, pp. 131–138, 2015. Sarvari, M. and Divandari, M., “Melt-Solid-Gas Behavior in the Interface of Al / Mg Composite Produced by Centrifugal Casting”, In Persian, Journal of Science and Technology of Composites, Vol. 2, No. 3, pp. 75–82, 2015. Firouzdor, V. and Kou, S., “Al-to-Cu Friction Stir Lap Welding,” Metall. Mater. Trans. A, Vol. 43, No. 1, pp. 303–315, 2011. Rübner, M. Gunzl, M. Körner, C. and Singer, R. F., “Aluminium–Aluminium Compound Fabrication by High Pressure Die Casting,” Mater. Sci. Eng. A, Vol. 528, No. 22–23, pp. 7024–7029, 2011. Beeley, P., Foundry Technology, Second Edi. Butterworth-Heinemann, 2001. Divandari, M. and Campbell, J., “Oxide Film Characteristics of Al–7Si–Mg Alloy in Dynamic Conditions in Casting,” Int. J. Cast Met. Res., Vol. 17, No. 3, pp. 182–187, 2004. “Reaction-Web, Fact-Web Programs.” [Online]. Available: http://www.crct.polymtl.ca/. Bauer, A. F., “Method of Bonding a Bimetallic Casting,” 749017, 1958. Avedesian, M. M., Magnesium and Magnesium Alloys (Asm Specialty Handbook) (Asm Specialty Handbook). ASM International; Illustrated Edition, 1999. Davis, J. R., “Aluminum and Aluminum Alloys,” ASM Spec. Handbook, ASM Int. Mater. Park, 1993. Graney, C.M., “Coriolis Effect, Two Centuries Before Coriolis,” Phys. Today, Vol. 64, No. 8, pp. 8, 2011. 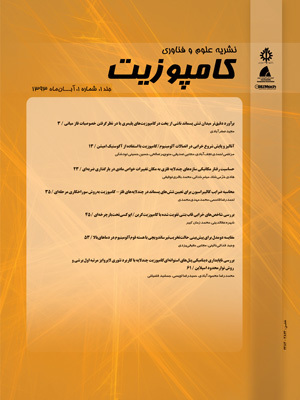 Esmaeil, H., “The Study of Effective Factors on Bonding of Al/Mg Interface in Compound Casting Process,” In persion, PhD Thesis, Iran University of Science and Technology, 2012. Wang, J. Yajiang ,L. and Wanqun, H., “Interface Microstructure and Diffision Kinetics in Diffusion Bonded Mg/Al Joint,” Akadémiai Kiadó, Budapest Springer, Dordr., Vol. 95, No. 1, pp. 71–79, 2008.